Founder and CEO of German Car Repair, Alan has a genuine passion for German cars. He began his career in 1978 as an apprentice working for a Mercedes-Benz dealer in Durban, South Africa. In 1979, he transferred to Forsdicks BMW in Durban, and completed a five-year apprenticeship with honors in only three years. In 1986, on the strength of his background and factory-accredited qualifications, he was hired by an Atlanta BMW dealer to train their technicians. Alan's BMW Factory training, both in South Africa and the United States, has provided him with a wealth of product knowledge and experience. His commitment to excellence is evident in the quality of service experienced by customers of German Car Repair, Inc.
Yvette also came to the United States from South Africa in 1986, where she had been Secretary to the Credit Analyst at the regional office of a major Durban banking organization. Shortly after arriving in the United States, she acquired an administrative position at a Norcross-based executive suite company, assisting professionals in various industries, including attorneys, an employment firm, and a construction company. 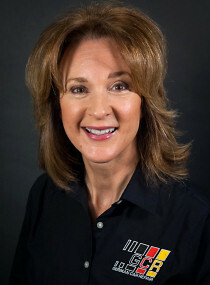 In January of 2003, Yvette became the Office Manager at German Car Repair. She manages all administrative assignments for GCR, and ensures the smooth day-to-day office operations with her acute attention to detail. Along with Alan, she is committed to making certain our customers’ service needs are met promptly and correctly. Taylor began his automotive career in 2006. He has a diverse background in the industry, working as a BMW Technician, Parts Advisor, and Service Advisor in his ten years at an Atlanta BMW dealership. 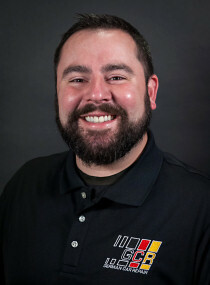 Taylor is a registered High Performance Driving Event (HPDE) instructor for BMW Car Club of America, Porsche Car Club of America, and National Auto Sport Association. He also volunteers with the Tire Rack Street Survival program to teach young drivers valuable skills not taught in traditional driving schools. Taylor brought his hands-on experience and commitment to customer service to the German Car Repair team in April 2016. After years of attending car shows to fuel his passion, Marc began his official career in the car business in early 2014. He quickly rose through the ranks at the top volume BMW dealership in the United States, applying his many talents as a jack of all trades throughout the organization. As Marc's sales career blossomed, his energy and enthusiasm for superior customer service made a lasting impact on his co-workers and customers alike. Marc joined the GCR team in August of 2016, eager to prove to our customers why German Car Repair is the place to be. German Car Repair's resident Porsche specialist, Jerry joined us in 2001, having built his reputation and gained an impressive following through his meticulous work ethic, unmatched experience, and commitment to his customers. 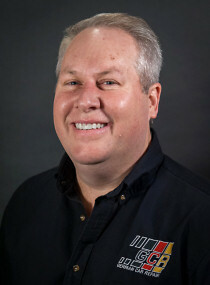 Jerry started his career in 1975 at an automotive vocational school, and an internship with Bill Campbell Porsche/Audi in Pensacola, Florida, later working at Brumos Porsche when they were still located in Marietta Georgia. He has completed more than forty Porsche training school courses, achieving Porsche Master Technician status in 1984. To say that Jerry is a valuable asset to German Car Repair is an understatement. His wide range of experience in all aspects of Porsche repair, including extensive race car preparation and service, make him the best possible choice to maintain and repair your Porsche. Michael joined the German Car Repair staff in April 2016. He began his career with Audi in 1998, becoming an Audi Master Guild Technician and Audi Diagnostic Technician. Michael's specialties include electrical diagnosis, high voltage (hybrid) systems, transmissions, and engine repair. He is also certified in Audi R8 service. Michael takes pride in repairing your car the right way the first time, making him the perfect addition to our team. Michael joined the German Car Repair team in December 2016. His automotive career began in 1988, as a BMW program trainee at Charles Evans BMW in Duluth, GA, where he first met Alan Kidson. Michael quickly achieved the rank of BMW Master Technician, and continued to add to his knowledge base while working at dealers in Atlanta and in Miami, Florida. Michael specializes in diagnostics and all manner of engine repairs and replacements. He also has a unique affinity for convertible tops. Michael's hallmark is his longstanding commitment to providing clients the best service for their vehicles. He has built a loyal following among BMW owners thanks to his extensive experience and dedication to excellence. in your German car, and delivering the best in service to you. Contact GCR, or come see us today, and let us prove it!